As North Massapequa’s premier transmission repair provider, we promise our customers a standard of service that goes above and beyond. No matter what vehicle you’re driving, we have a team of technicians that can perform your transmission repair correctly. We’re here to protect your transmission’s quality performance as well as protect your wallet. We can do this by making sure you avoid unnecessary and costly repairs. Our consistent transmission maintenance schedules help us to stay ahead of any malfunctions. 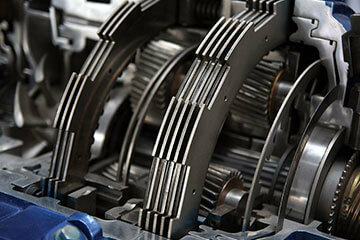 Rebuilding and replacing your transmission can be very expensive. We keep owners on a service plan that makes sure transmission fluid changes and flushes are happening at the right time. With routine maintenance schedules, we’re always able to stay on top of your transmission fluid. The color of transmission fluid will turn from bright red to black or brown after it’s been subjected to too much exposure and needs to be changed. Drivers often mistake sudden lurching, surging, or stalling as a need for a new transmission repair or replacement. Transmission Technicians will handle all automatic or manual transmission repairs. Many driving habits can be harmful for your manual transmission and compromise performance as well as longevity. Some driving behaviors can cause grinding and unnecessary wear, like riding the clutch or downshifting while braking. We’re here to meet any of your transmission repair needs. Using the industry most advanced diagnostic equipment, we’re able to give you a diagnosis you can count on. Our guaranteed transmission repair service is backed by a competitive 2 Year / 24,000 Mile Warranty.